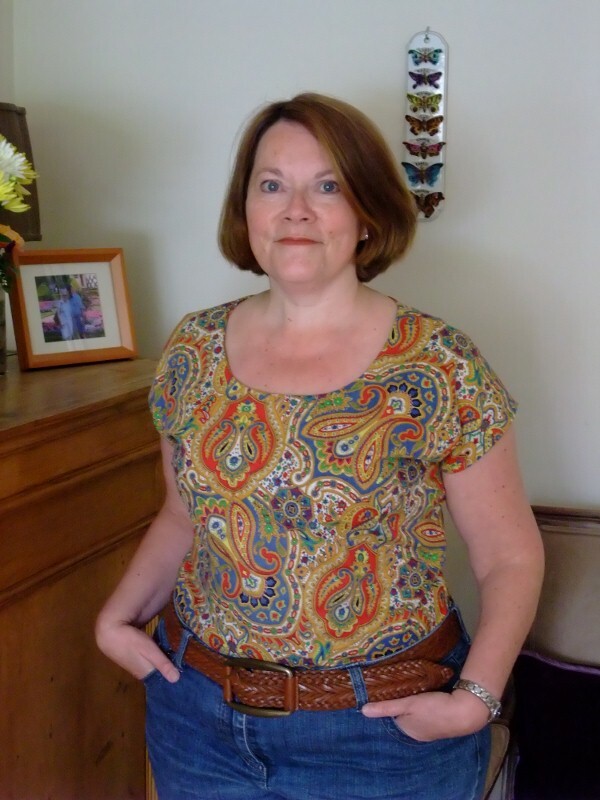 A few years ago I reworked a vintage cotton paisley dress into this 1950s style retro top. 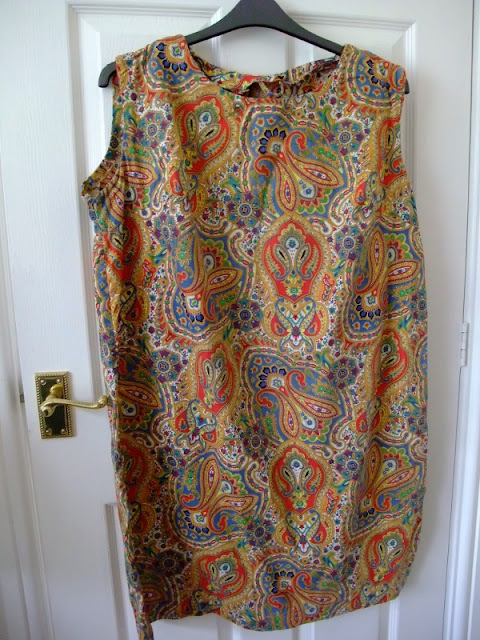 I love the colourway of this paisley and like to wear the top with jeans. Of course, there were a few smaller scraps left over from the project and this week I made some "new" design Deco Daisy brooches, one of them shown above. Above is the 1950s vintage sewing pattern which I used. It was for a 32" bust (a measurement I have not fitted into since some time in the 1970s!) so I adjusted the pattern to fit. This is the original donor dress, I would guess 1960s, and a bit uninspiring to say the least. Here is a very old photo of me wearing the newly refashioned top, I think this was about 6 years ago. I have been trying to improve my virtually non-existent free motion embroidery skills by making some flower brooches this week. I love the way that the reverse of the work is almost as pretty as the front in a sketchy, artsy sort of way. Anyway, here is a close up of the freshly stitched flower brooch. It is worked as a raw edge applique with some free motion machine embroidery and a button from the vintage stash. Please visit my etsy shop if you would like to see more OOAK vintage and reworked garments.